How Much Snow Is Too Much For Your CT Roof ? The snow is finally starting to fall and homeowners need to prepare for the weather. Snow seems to be light and airy but as the flakes start to stack up, the weight can be damaging to your CT home. This article discusses warning signs of a collapsing roof and what to do is an issue occurs. 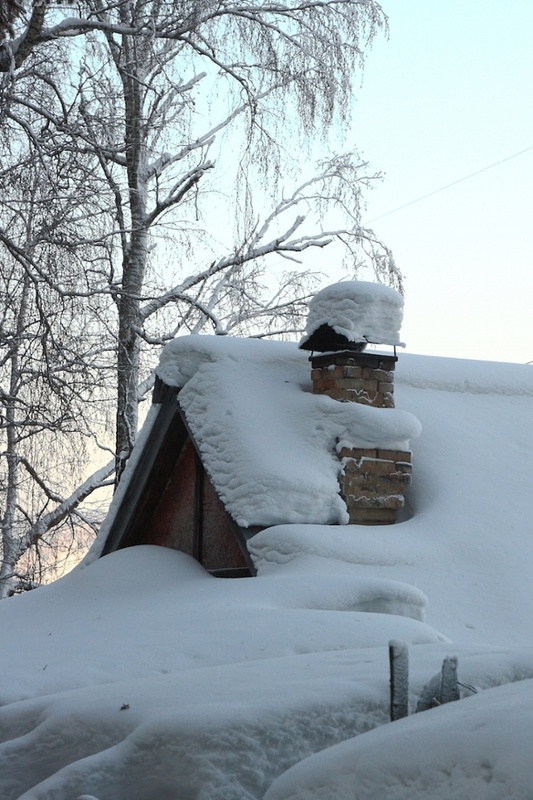 Typically, an average roof can support the weight of about two feet of snow. According to USA Today, "ten inches of fresh snow equates to about five pounds per square foot, which means your roof likely can support four feet of fresh snow. Packed snow, however, weighs more: two feet or more of old snow is enough to exceed weight limits. Old snow and new snow combined can easily exceed load capacity. Just two feet of each could collapse a roof. And don't forget to add ice to the equation. An inch of ice is equal to the weight of a foot of fresh snow." As the snow storms get stronger, the amount that accumulates can happen faster than you realize. Be sure to to take a look at your roof to ensure the snow doesn't pile up and cause the roof to cave in. Keep a look out for any spots on the roof with more build-up than others as well as any areas that seem to be sagging. These are vital indicators that your roof is verge of caving in, which can lead to sever damages that compromise safety and cost a fortune for repairs. Another indicator of excessive weight pushing down on your home is to check your window and door frames. If the weight on your roof is heavy enough to distort your door frame making it stick or pop open, you may have a serious issue. Additionally, if you find your windows are also difficult to open due to excessive weight, your home is at the potential risk of structural collapse. If these issues occur, make sure to leave for your safety and either remove some of the snow, if it can be done safely, or call a professional to remove the snow who can better asses how to do so with no damages. Leaks may be a more obvious sign of issues with your roof but don't take these warning signs lightly. Whether you have one big leak or several small leaks, your home may be in danger of something far worse. If you already have problem areas on your roof before the storm even hits, make sure to take care of those right away because they are putting your roof at an even higher risk of collapsing. You may think one small leak is not an issue but that can be a small warning sign to even bigger issues. If you have any of these warning signs, contact professional insurance restoration contractors who can quickly come to your home and asses the damage or prevent damage from occurring. If you think the amount of snow on your roof is a hazard, clearing it for yourself can be very dangerous. Several dangers can happen when you are not fully aware of what you should do and how to do so safely. Something as simple as attempting to use a ladder can be risky due to the rungs quickly turning icy, causing you to slip or fall.